In the same way that regular citizens are divided on the NSA issue, judges are as well. 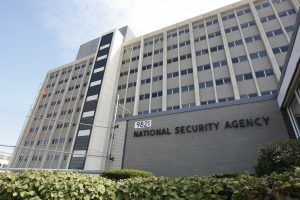 Earlier this month, U.S. District Court Judge Richard Leon ruled that parts of the NSA surveillance program may indeed be unconstitutional, something that Edward Snowden and other whistleblowers have claimed for years. Now, another judge has come forward and is ruling that the NSA’s phone surveillance is perfectly legal and that citizens should not expect privacy when it comes to their phone records. Pauley is certainly correct in saying that people share tons of information about themselves online with services like Facebook and Twitter, that means very little when we are talking about the NSA. Comparing someone’s personal decision to share information to the NSA’s spying simply does not make sense even if the government is collecting less data than citizens already share. Unfortunately, the 1979 Smith V. Maryland decision in which the Supreme Court ruled that citizens have no “legitimate expectation of privacy” concerning their phone records and more specifically, the numbers that they dial, is still true today. Phone record collection is definitely something that the NSA does and is something that has been criticized but as we have learned over the past few months, the NSA spies on citizens in far more intrusive ways which are not nearly as legal as looking at phone records. While Pauley was considering how he would come down on the topic, many people argued that the 1979 decision should not apply in 2013 because people use their phones in entirely different ways now. Anyone can tell that this is indeed true, as smartphones are far more advanced than any phone from the 70s and 80s, but the 1979 ruling only dealt with actual phone number records, which haven’t changed.